A nice follow-up to my last post about SEO and Landing Pages, Lijit! Bug Labs, Chumby, Neuros, Netvibes, Facebook -- what do they all have in common? Open platforms. Bug Labs is developing BUG, an open, modular, consumer electronics web services hardware platform. Designed for the general audience, not just the technically inclined, BUG is intended to bring to the world of hardware gadgets what the Internet, open source, XML and web services have brought to the world of software and media. Firefox 2 now has support for external RSS subscriptions instead of stupid Live Bookmarks. 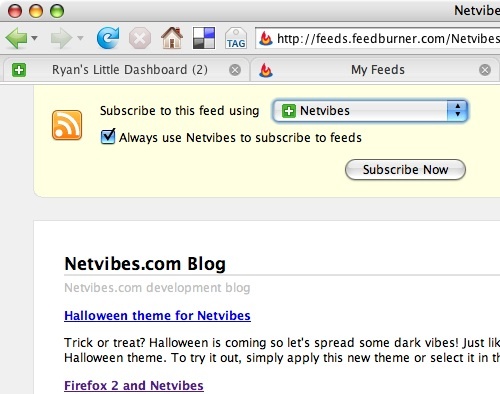 This means I can use my favorite reader Netvibes whenever I see the happy little orange icon in my address bar. 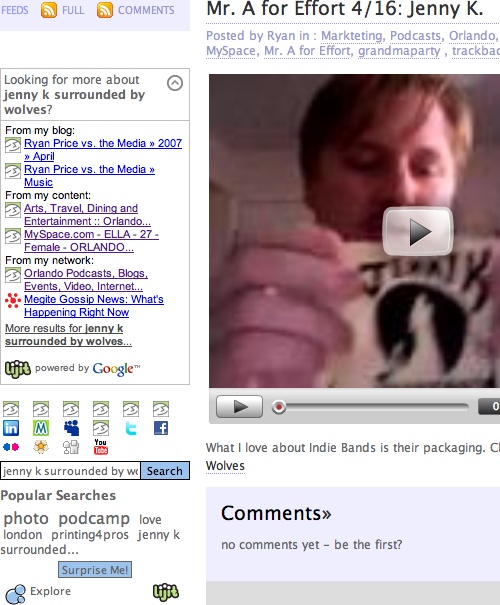 They pretty much say it all here on their blog. Especially love the RSS reader. I have tried Google’s and Bloglines and a few Dashboard/Konfabulator widgets, but none of them can match what Netvibes is doing. I also like getting updates on both my gMail accounts right there, and how they let me discover the IceRocket search engine, which gives you thumbnails and preview panes for websites inside the search engine (but I think it is a Google mashup).